I decided to change the rules a little for the second half of my year-long mosaic project. I’m finding that on Fridays I often haven’t been in the mood to create a mosaic so I’m giving myself a break and permission to take Friday off if I want to. If I don’t create a mosaic on Friday I’ll try to do two on Saturday. The decision feels good to me. I did think about a mosaic on Friday. I bought beads a while ago with the intention of making a three-dimensional tree but never got around to it. 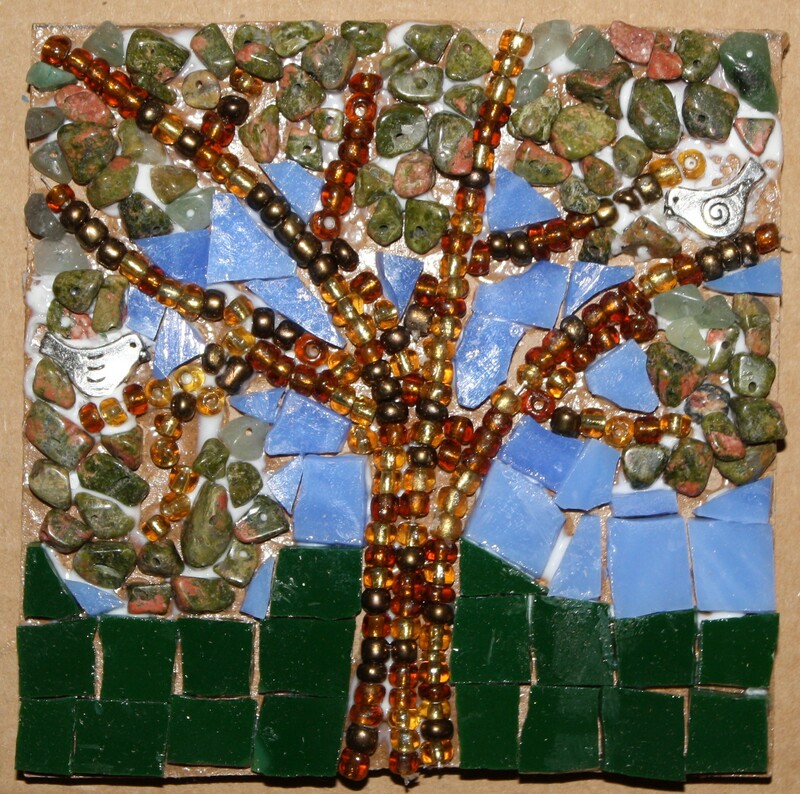 I decided that a mosaic bead tree would be fun. As you can see it’s a summer tree, filled with leaves. I love the little birds! I love this one, particulary the stone leaves and sweet little birds tucked into the branches. This one was really fun to create!